A confident smile is key to making a positive first impression, but it can be hard to smile fully when you have crooked teeth. If you feel insecure because of dental imperfections, you are likely familiar with the feeling of dread that can arrive when walking into an important job interview or going on a first date. As the calendar flips over to the New Year, are you ready for a change? If 2019 is the year you have decided to finally achieve the beautiful smile you deserve, you’re in luck. Below are 5 important facts you need to know before getting Invisalign in Fort Worth. Invisalign treatment straightens smiles through a series of clear, plastic aligners that gradually move teeth into the desired position. 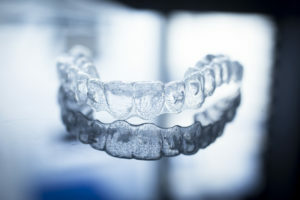 The custom-made aligners must be worn as directed by your dentist – typically 20 to 22 hours a day – and should only be removed to eat, drink and brush your teeth. No one will be watching over your shoulder to make sure you wear your aligners throughout the day. Instead, you must be responsible and follow your dentist’s directions if you want to straighten your teeth carefully, comfortably, and on schedule. Cleanliness is key when it comes to successful Invisalign treatment. Be sure to thoroughly brush your teeth and floss after every meal – otherwise, bacteria and plaque could become trapped between your teeth and the aligners, leading to enamel erosion and cavities. Most individuals complete their Invisalign treatment in about 12 months. However, treatment time can vary anywhere from nine months to 18 months depending on a number of factors, including how dedicated you are to wear your aligners for the required number of hours per day. In addition, after Invisalign treatment is completed, you will likely need to wear a retainer to maintain the new position of your teeth. A major advantage of Invisalign is patients can avoid the discomfort of the metal brackets and wires that come with conventional braces. However, Invisalign users may feel a little discomfort as they trade one set of aligners for a new set. But don’t worry – this pressure is a good thing! It means that the aligners are gently moving your teeth into their new positions. Any temporary discomfort should subside as the mouth adjusts to the new teeth positioning. Now that you are armed with this valuable information about Invisalign adult braces, you are ready to have a conversation with your dentist about achieving the smile of your dreams in 2019! Dr. Jasmine Coleman King has over a decade of experience helping patients achieve straight, dazzling smiles. From teeth whitening to porcelain veneers to Invisalign clear braces, Dr. Coleman King can help rejuvenate almost any smile. Patients with questions about how cosmetic dentistry can improve the appearance of their smile can visit the Summer Creek Dentistry website or call Dr. King at the office at 817-292-7488.